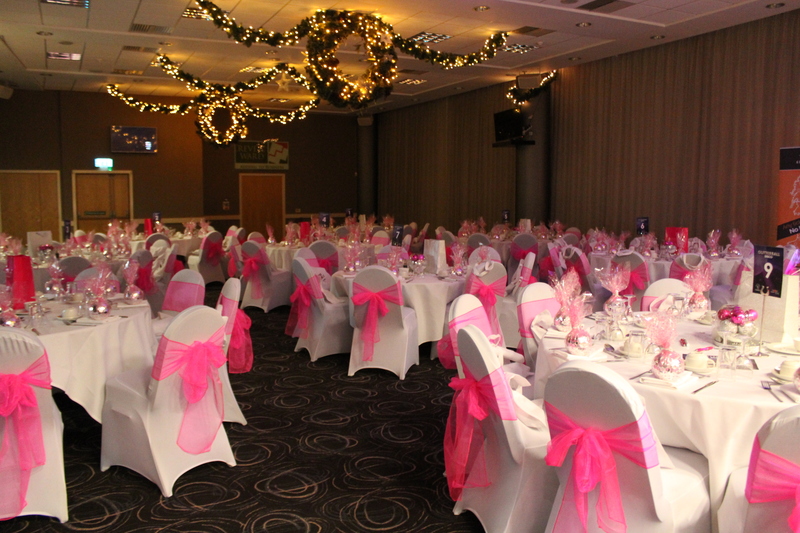 On Friday 30th November we saw The Huddersfield Town Foundation change its theme of this year’s Ladies Lunch to a glitter-ball disco. To start off the day, ladies arrived in style for a glass of fizz, followed by a spot of shopping in the pop up shops set out in our newly refurbished hospitality boxes. Guests then made their way to The Revell Ward Suite and sat down in a glitter ball room for a two course meal and saw entertainment from the fabulous live acts on the night. Throughout the afternoon guests all took part in fundraising for the event where the money would be donated to The Huddersfield Town Foundation, which included raffles, with ladies going home with exceptional gifts. The gifts included : – Two tickets for the live finals of Britain’s Got Talent, two tickets for the Take That concert at The John Smith’s Stadium, Double Magnum of Champagne, Two first class Grand Central return tickets, £50 Umbro voucher, Afternoon tea for two at The Manor House plus much more!